Pictured: Pupils complete the final steps in style. For one week, at the start of PE lessons, pupils took part in a one minute step activity as part of their warm ups. And on Saturday 16 June, at the school’s annual Open Day, they successfully completed the 58,070 steps required to cover 8,848 metres … the height of Mount Everest. 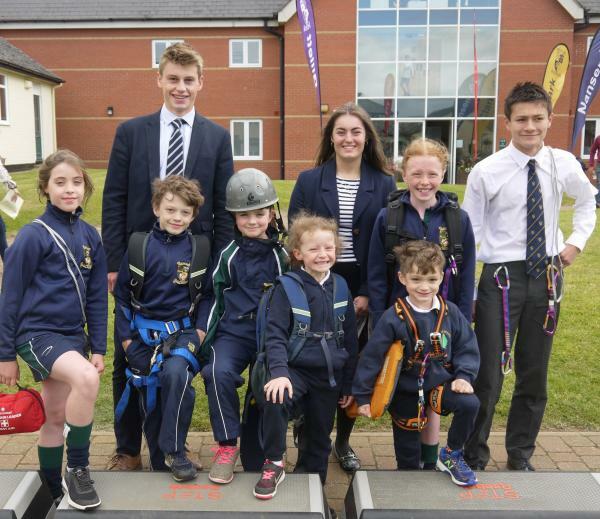 The sponsored Everest Challenge is one of a number of events that have been undertaken by the school to help fund a new climbing wall. Sibford Head Toby Spence said: “We are very excited about the climbing wall which will be coming to Sibford in September 2018. We are very fortunate that our parent association is jointly funding this exciting venture alongside school funds.